If you have managed to secure an interview for a job you have applied for - congratulations! Now it’s time to start preparing for your job interview and if this if your first interview, we know how nerve racking this can be. So, to help you overcome your nerves we have shared our top ten tips for your first job interview, to help you feel fully prepared to nail your interview. Spend time doing your research and find out as much as you can about the business, the job you have applied for and the person/people who will be interviewing you. You should also spend some time looking into common interview questions, so you can practice answering these and prepare what your answers will be if you are asked these questions. Doing research beforehand is vital; as the saying goes, ‘by failing to prepare, you are preparing to fail’. Role play an entire interview. Create an interview set up, wear what you plan to wear during the actual interview and do a few practices from start to finish - from entering the room and greeting the interviewer, to answering questions and finishing the interview. If you have done your research and have found some common interview questions, you can practice answering these in your role play interview. After practicing, ask your family member or friend to give you their feedback and take this on board. It is important that you dress to impress and look the part for your interview. What you wear will play a big part in the interviewer’s first impression of you, so you want to make sure what you are wearing is appropriate. Typically it is advised that men wear smart trousers and a shirt, with a smart jacket/suit jacket and for women, a smart dress, smart skirt or trousers and shirt/blouse. 4. Be punctual - the early bird catches the worm! It is vital that you arrive for your interview on time and if anything, it is advised that you arrive around 15 minutes early for an interview. Arriving late will automatically create a negative impression of you, which is almost impossible to change. To avoid this from happening, it is important you know exactly where it is. If you don’t already have the address, make sure you ask and confirm it beforehand. You can also do a practice run of travelling to the location before the day, so you can get your timings right, see what parking/traffic is like etc. It takes a matter of seconds for someone to form an impression of you, which is why every second counts. When you enter your interview, have a positive attitude and express enthusiasm for the job and employer. Shake the interviewer’s hand firmly, make eye contact, speak clearly and remember your posture when you sit down. Employers are also often curious about how job applicants treat staff members, so from the second you enter the workplace for your interview, it is important that you are polite and pleasant to everyone you meet. There is a lot of pressure and nerves before and during any interview, let alone your very first interview. But it is important that you don’t let your nerves get the better of you. Remember to be confident, enthusiastic, well-mannered and professional, but also remember to be yourself. It is important that you don’t create an image of someone that you are not, but you do need to present yourself well from start to finish of your interview. Your body language says a lot about you, so it is important that you remember to smile, maintain a positive attitude, good eye contact and positive body language. Poor body language can be a distraction for the interviewer, so even though your answers may be great, if your body language is poor, it could be the difference between being hired or not being hired. 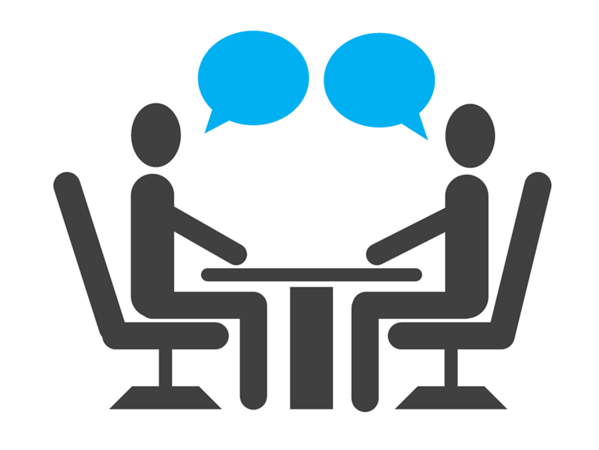 By asking relevant questions, you will be showing the interviewer your interest in the job/business. It shows that you have done your research and that you are keen. Try coming up with 2-3 questions to ask before the interview itself and then you can add any additional questions that might arise from the interview. You will want to end your interview as well as it began. So, once your interview is over, smile, shake the interviewer’s hand and thank them for their time. Let the interviewer know how they can contact you if they have any additional questions and ask if you can have their business card. 10. Don’t forget to follow up! After the interview, once you are home you can use the contact details on the interviewer’s business card to send them an email or letter to thank them for their time. It is always good to follow up, as it keeps your name in their mind and continues to maintain their good impression of you. We hope you have found these tips helpful and we wish you all the best of luck for your interview. Remember, just be yourself, be confident and prepared and you are sure to nail that interview!